With ZLX, Electro-Voice set out with a singular goal: to deliver best-in-class performance across every detail. The Electro-Voice ZLX-12P is a powered PA enclosure with a 12" woofer and 1.5" titanium compressionb driver that gives you the confidence of the industry's most trusted components. The enclosure is engineered to exacting standards to bring exceptional EV audio quality for larger applications, with or without a subwoofer. The compact, lightweight ZLX-12P was designed to give you power and performance beyond the scope of other small-format loudspeakers, making it a standout choice for smaller-venue sound reinforcement or stage-monitoring.ZLX combines decades of proven pro-audio engineering know-how with a bold new look and user-friendly features that give you an extraordinary amount of control over your sound all with the renowned EV quality and reliability the pros trust. 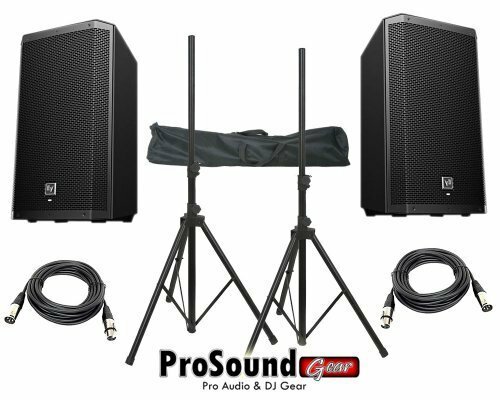 The ZLX-12P is perfect for use as either mains or monitors, and represents a new standard for musicians, DJs, and all performers looking for more from a portable powered loudspeaker.